So how does Burgopak works allot of people ask and want to know. You either buy one if you ever could find any or just read this guide. For the people who don't know what a Burgopak is just watch the following movie. Burgopak is a special slide motion in a cardboard packaging making a slide to move in the opposite side. With this making a special effect in a way of opening a packaging and different way of packing something. Before actually explaining how to make one I will do a short review. However this is a very great packaging with the slides, it is not really that much environmental compared to something without the slides. OK, it is more space for more info and it is a nice trick how ever the mechanism inside means extra material needed which you don't see and isn't extra for protection or have special info for it just to make it possible to slide. However it doesn't mean it should not be used at all, but it is more expensive packaging where you can spend more with, then for any consumer market. So when making this package you need to consider cost and materials. So how does it work, actually very simple with a belt drive that rotate around piece of cardboard. The top of the belt goes one side and if you look the bottom goes the other side. - Cardboard 300+ grams. Anything less then 300 gram the paper will bend to easy and doesn't work. - Plastic bag or very flexible plastic. Only one test need to be done to be sure that it is the correct plastic. Make a small cut and try to tear the paper, if it does not tear then it is good. Will not show how to make a template because mainly you can make it yourself easily. 1. 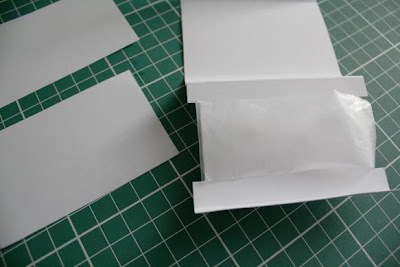 Fold plastic over the smaller part of the template. This plastic will act as the belt drive. 2. 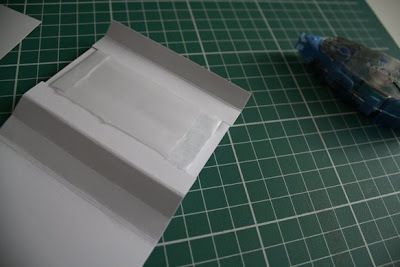 Paste the overlapping parts of the plastic together and make sure the paste part is on one side of the card. 3. 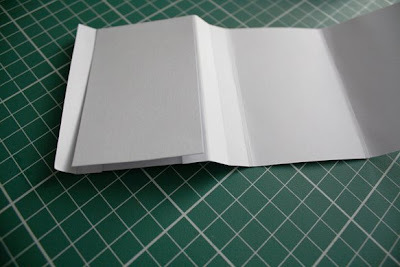 Now put glue over the overlapping side of the belt and glue the card to it. And do the same to the opposite side. Now test by pulling the card to see if it slide smoothly. And that is it actually, what is on the inside and how it works. 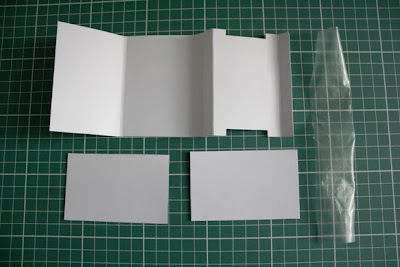 With these info you can design all it yourself and apply it to different sorts of packagings. If you want more info you can look at the Burgopak patents at Google.com/pantens, the patent is for a sliding packaging tray. But this design is patented and may not be used by any company or sell any packaging with this works inside, if they have not bought the rights from the company Burgopak. If you want more information or want have a design for your company visit Burgopak.com.